A mesage from Dean this morning brought news of the first two Puffins of the year, spied on the water below the breeding slopes at Jenny's Cove when counting Razorbills. This constitutes the first February record of Puffins for the island, being a week ahead of the previous earliest date of 6 Mar, a record that was set in 1983. And so this exceptionally warm, exceptionally pleasant, yet somewhat unsettling spell of summer-in-winter weather has yielded another 'first'. 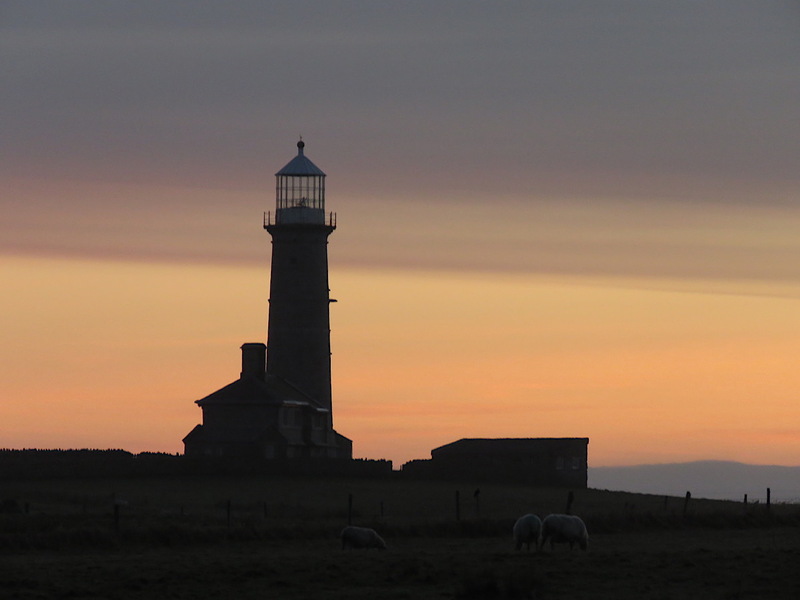 It's back to something more akin to business as usual tomorrow, with a big drop in temperature forecast and the first real rain for a while, but February 2019 has certainly left its mark on Lundy ornithology. Dean Jones's sightings of a male Wheatear at Jenny's Cove and a Sand Martin at Pondsbury (the latter followed by a second bird quartering over South West Field!) 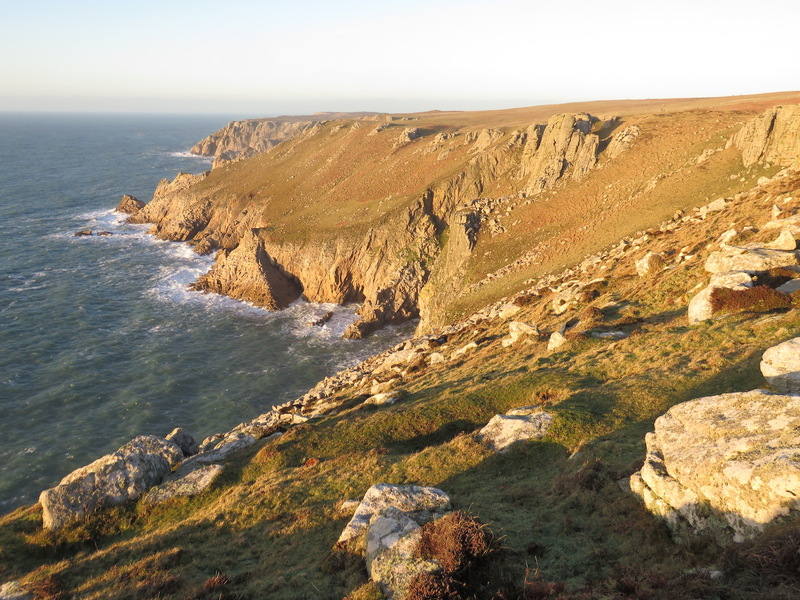 during the morning of Sunday 24 Feb are the earliest Lundy records for either species – by 7 and 11 days respectively. Until this year, the long-standing earliest Wheatear date was 3 Mar 1940, whilst the earliest Sand Martin was 7 Mar 1983. With continuing unseasonable warmth forecast for another couple of days at least, will more records tumble? "My afternoon sea-watches have become rather quiet since the last post now that the rafts of Red-throated Diver have seemingly moved on from the East Side (one bird on the 22nd & 25th). Kittiwake numbers on this side of the island have also dropped away to nothing, (perhaps due to the change in winds), though up to 70 birds have been seen periodically perched on their breeding ledges at Jenny’s Cove and St Mark's Stone along with some super numbers of auks. Other gulls of notes include 11 Common Gull feeding off the East coast on the 22nd. The beautiful, warm spring weather has also spurred on a small passage of passerines over the past few days namely Linnet (4 on the 22nd), Chaffinch (7 on the 22nd), Siskin (1 on the 25th), Pied Wagtail (3 on the 23rd, 2 on the 24th), Grey Wagtail (1 on the 25th) and Stonechat (2 on the 24th). Goldcrest are also starting to make their way North with at least 5 birds on the island on 22nd, 7 on the 23rd dropping to just one on the 24th. Numbers of displaying Skylark have continued to grow too, with at least 21 birds singing across the island on the 24th as well as the first of the displaying Meadow Pipit of the year parachuting around on Castle Parade yesterday (high count for the period 30 on the 24th). A second Woodpigeon has arrived on the island, joining our long-staying bird, and nearby our overwintering Sparrowhawk and Chiffchaff are still making themselves known periodically as they navigate the now bud-laden trees in Millcombe." Non-avian news: A Vagrant Emperor Dragonfly was present above Benjamin’s Chair this afternoon (25th). 9th to 21st Feb – Lundy's earliest ever Swallows, but will they a summer make? Out at sea, the presence of a number of Red-throated Divers has continued, with up to 12 birds being recorded each day since my return to the island. There was, however, one very special afternoon where an impressive 22 birds were recorded upon the flat calm seas off the East side (18th) including a stunning new bird in full breeding plumage. High numbers of Kittiwakes continued to linger off the East coast up until the 11th at least where c1000 were noted in the logbook. From this date however numbers dropped rather dramatically (between 2 and 160 recorded on days after this date). The lone Great Northern Diver has also been recorded on a number of dates up until the 21st. On the Larid front, we’ve also seen the return of a number of our gulls to their breeding territories this week, including some of our Lesser-black Backed Gulls which were seen arguing over nesting sites above Miller’s Cake on the 17th (total of 22). Other gull highlights include 8 Common Gull on 18th, 11 on the 19th & 16 on the 20th, as well as a single adult Mediterranean Gull on the 19th. Shag numbers have also continued to increase with 50 birds recorded feeding in the Landing Bay on 16th. Away from the sea we’ve also noticed some movement of passerines too, namely Skylark and Meadow Pipit. From the logbook there seemed to be a rather impressive day of February passage with 40 and 20 birds being noted on the 14th. The biggest surprise from the plateau, however, has to be from the morning of the 16th when two Swallows zoomed overhead making their way north, spurred on by some hefty tail winds. After this three more birds were found throughout the day, together making the earliest record for this species for Lundy. Other passerines of note include singles of Chiffchaff and Goldcrest on most days, singles of Pied Wagtail, good numbers of Stonechat (max 9 on the 21st), a Mistle Thrush in Millcombe on the 17th and small numbers of Linnet, Goldfinch, and Chaffinch on a number of dates. And onto the non-passerines, birds of note include 10 Teal on Pondsbury on the 21st, 8 Golden Plover over the airfield on the 21st, up to 3 Water Rail on some days and on the evening of the 8th, six Woodcock and a Short-eared Owl recorded near Quarter Wall by ‘The Rabbiters’ whilst they were out looking for and counting the islands remaining bunnies (a total of six were found in various parts of the island). 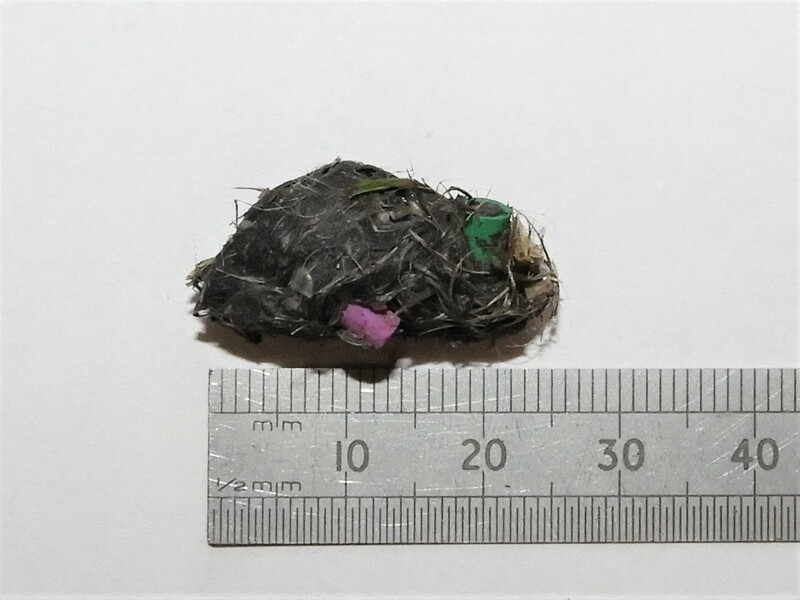 Furthermore, two Kestrel were seen on the 14th, our lady Sparrowhawk has remained on the island until the 21st at least, dining on a platter of House Sparrows as we’ve found after discovering a number of her pellets in Millcombe (see photo). The lone Woodpigeon is still kicking about the Millcombe area and was joined by a Stock Dove on the 21st, after a close run-in with two Peregrine Falcons over the South End. Report compiled from sightings by Alan & Sandra Rowland, Steve Wing, Siân Cann, Grant Sherman & Dean Jones. 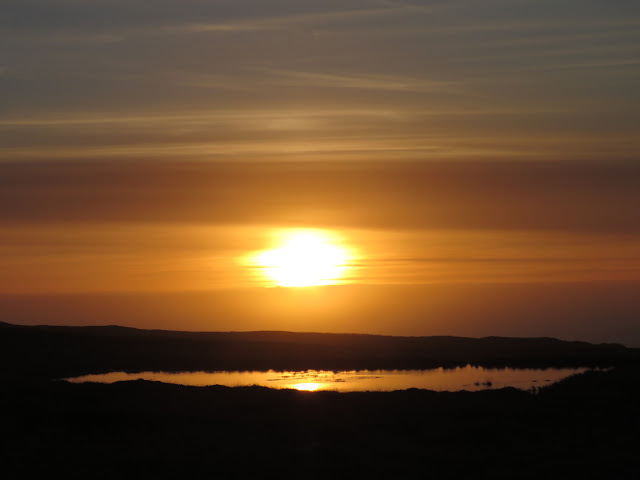 After heavy and prolonged overnight rain, Monday 4th saw a murky, misty dawn give way to sapphire skies and warm sunshine by the end of the morning. With just a gentle northerly breeze, the conditions were perfect for basking in the sun on the side of the Ugly and watching the huge gathering of Kittiwakes off the East Side, where an almost continuous flock stretched from off Tibbetts Point/Gull Rock, almost as far as Rat Island. Counts revealed over 3,000 birds – by far the highest number ever recorded from the island, as far as we are aware. The calm seas and clear light gave ideal viewing and with the flocks periodically taking flight and repositioning themselves to stay on the boundary between clear, slack water and the more turbid incoming tide, it was evident that less than 1% were juveniles. Among the Kittiwakes were a few tens of Herring Gulls, a couple of Great Black-backs, three Common Gulls, a Lesser Black-back and a single Harbour Porpoise. A bit further out still, were a group of feeding Shags and six Red-throated Divers, along with scattered rafts of auks. The Great Northern Diver was again in the Landing Bay. Millcombe held 3 Song Thrushes, 8 Blackbirds, singing Robin and Wren, a Goldcrest and, zipping about after insects in Smelly Gully, a Chiffchaff. The female Great Spotted Woodpecker was calling from the very tops of the sycamores above the Casbah, as if doing everything possible to make contact with another of her kind, though the nearest potential mate must be at least 20 miles away! Further up the island, one Golden Plover remained on the Airfield, and we encountered single Snipe and Meadow Pipit near Quarter Wall. The evening light on Jenny’s Cove, just before sunset was magical and there were several hundred Guillemots on the breeding ledges at just before 5pm, proving that it’s not always necessary to be up with the lark to catch an auk. We trudged back towards the Village along the main track accompanied by the calls of Carrion Crows gathering to roost. Tuesday 5th was something of a contrast, with the island draped in pulses of misty drizzle on and off all day, interspersed with brighter, dry periods and a stiff SW, which brought a band of heavy rain before dusk. Birding highlights included 12 Red-throated Divers off the East Side (somewhat distantly), a Kestrel around Lametor and Castle Hill, the female Great Spotted Woodpecker near the Casbah again, two Chiffchaffs in lower Millcombe, and the Jackdaw perched on the wall of Bull’s Paradise. The Kittiwake flock off the East Side had shrunk to a more typical 380. 1st to 3rd February – More than 7,500 seabirds in one day! Tim Davis & Tim Jones walked the whole island perimeter on Sunday 3 Feb, beginning from the Castle at just before 8am, walking along the South End and West Side to North Light lookout, then back along the East Side, getting back to the Castle at 4.30pm. An overnight change in wind direction from a biting northerly to a milder WSW seemed to have stimulated huge numbers of auks to come ashore to visit the breeding colonies. Visibility was good throughout, with some warm sunny spells and only a drizzly shower during the afternoon, which helped with counting, though the numbers of auks were almost overwhelming at times. Whilst the Tims were on the West Side during mid-late morning, Dean Jones was scanning the Landing Bay and East Side from the Ugly at the same time, giving combined totals of over 7,500 seabirds for the day! There were 14 Red-throated Divers off the Landing Bay and a Great Northern Diver feeding close to the jetty, also two adult Mediterranean Gulls well out from the Ugly and a total of 20 Common Gulls. Other notable records during the first three days of February have been: up to six Teal (mainly Pondsbury and Brick Field), the overwintering female Sparrowhawk on 1st & 2nd, a Lapwing on 1st & 2nd, two Golden Plovers on 2nd (one remaining on 3rd), two Snipe on 1st, a single Woodpigeon, the female Great Spotted Woodpecker on 1st & 2nd, a Jackdaw around the farm on 2nd & 3rd, up to two Chiffchaffs and two Goldcrests in Millcombe, one to three Skylarks daily, a Redwing on Ackland's Moor on 1st, a maximum of five Stonechats on 3rd, a female-type Black Redstart below Benjamin’s Chair on 2nd and a lone female Chaffinch in Smelly Gully on 3rd – apparently the only finch of any species on the entire island! One of the features was Red-throated Divers, with records on nine dates, including a max 12 on 19th. A single Black-throated Diver was in the Landing Bay on 17th & 18th (Dean Jones). Also out at sea have been: a max of nine Gannets (25th), three Cormorants on Great Shutter Rock (19th), Shag max 11 (22nd), Kittiwake max 651 (25th), Common Gull max seven (23rd), Lesser Black-backed Gull max 12 (26th), and mixed auks species max 200 (23rd). On land, there were a male and female Teal (21st), a max of four Oystercatchers (26th), a female Sparrowhawk on three dates, single Water Rails on 17th & 21st, a lone Woodpigeon on three dates, a Kestrel on 16th & 20th, the overwintering female Great Spotted Woodpecker on three dates, one or two Skylarks on four dates, overwintering Chiffchaffs on nine dates, with a max of four on 16th & 17th, one or two Goldcrests on five dates, a single Song Thrush on three dates, one or two Robins on six dates, a male and female Stonechat on 19th, two Meadow Pipits on 19th, a max of 11 Rock Pipits on 19th, only a single Chaffinch on three dates to 25th, and a lone Goldfinch on 16th & 19th.